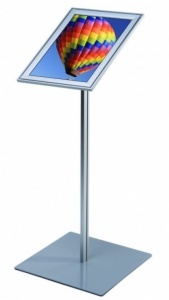 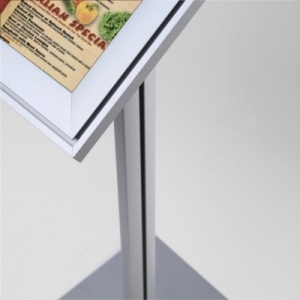 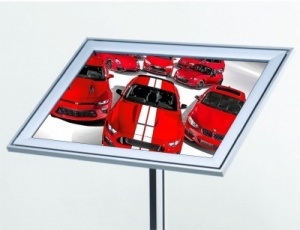 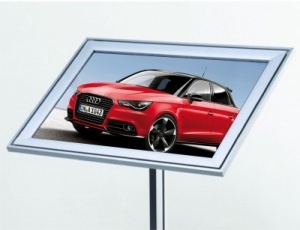 This stylish freestanding information point or menu stand features a twin profile mitred corner designer snap frame. 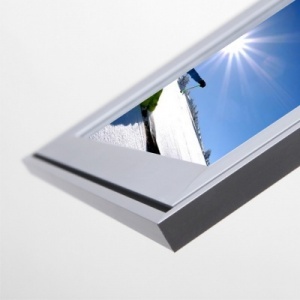 Available in 2 sizes each feature a 37mm snap frame with a silver powder coated steel base with rubber feet to the underside. 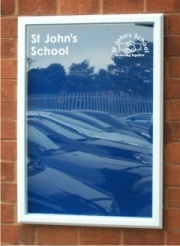 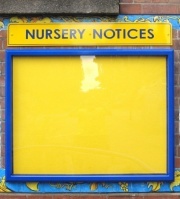 The frames can be mounted either landscape or portrait and have a galvanised steel back panel for a rigid construction. 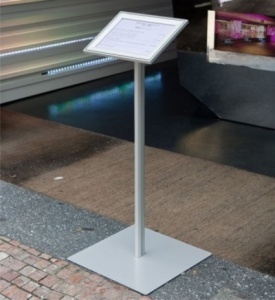 With its elliptical silver anodised aluminium post it comes flat packed ready for easy assembly in under 5 minutes.